The 1968s students movement coined the wonderful phrase “Under the pavements lays the beach”, perhaps to further encourage picking out the paving stones for the next street fight. 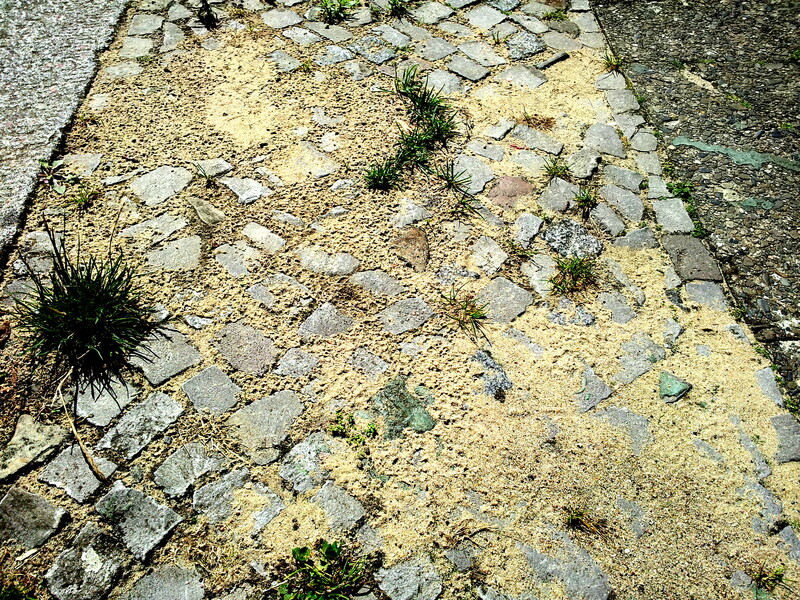 But at least beneath the pavements in Berlin, there is indeed yellow sand reminiscent of a seaside beach. That is because the Berlin and most Prussian underground are glacial melt-water valleys (the term “Urstrom-Tal” is even common in English). So if the pavement stones are removed in Berlin, or one is digging any deeper into the ground, this is what you find. A real part of the beach, for which one otherwise has to drive abou 120 miles north to the Baltic Sea. Not far away from the beach, however, are signs that reminds one of the much younger, yet much more violent period of Berlin history. All over the city one can find tiny brass plates (“Stolpersteine“) fixed on the pavement in front of houses, which indicate the places where jewish people were deported from their homes and later killed by the Nazi regime. 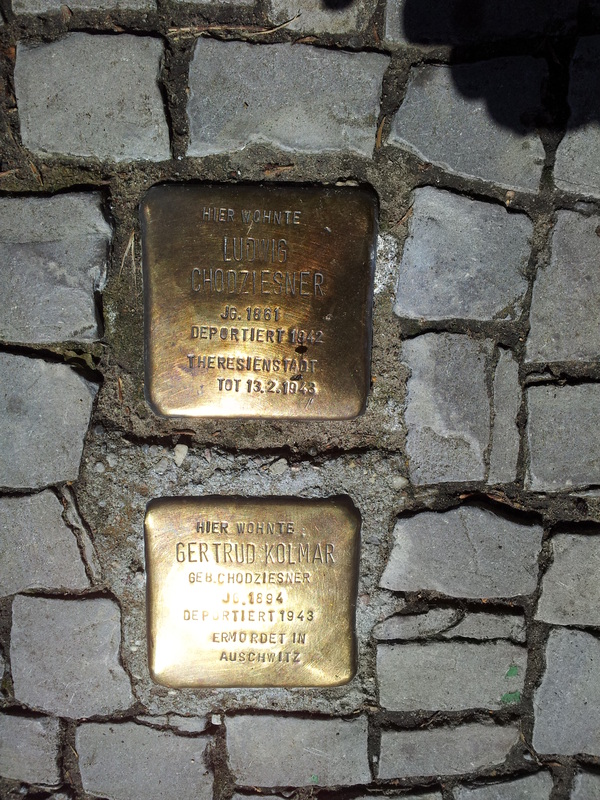 The two plates below are at Münchener Strasse 18 in the borough of Schoeneberg, and they are there to commemorate Gertrud Kolmar (a well-known writer) and her father Ludwig Chodziesner). Mrs. Kolmar was killed in Auschwitz, her father died in the Theresienstadt ghetto. A few blocks further down the road is the plate and former house of Bernhard Persicaner. He too was killed in the Auschwitz concentration-camp, but perhaps as he was not as famous as Mrs. Kolmar mankind would have soon forgotten about him. 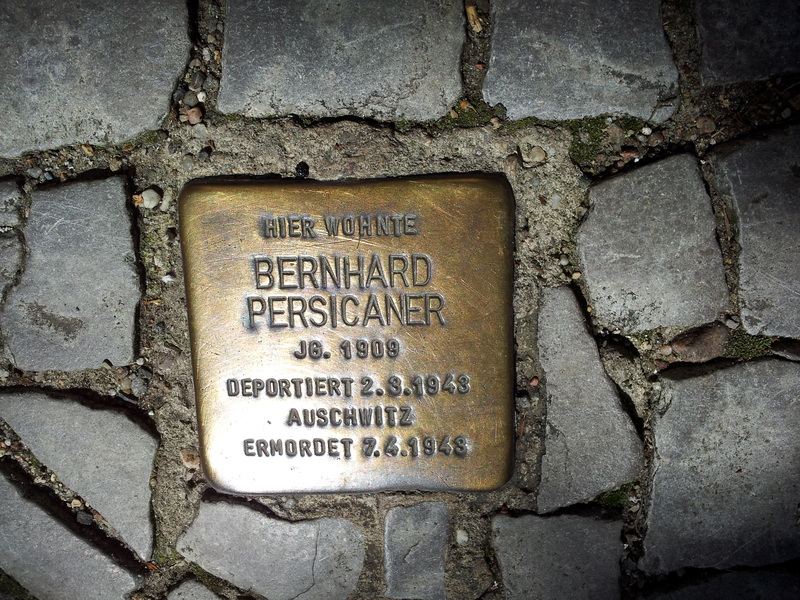 Thanks to the Stolpersteine initiative, however, the memory of hundreds of thousands of nazi victims are kept for ever now, whether they were famous persons of history or ordinary people like Bernhard Persicaner. It is a shame that only one city in Germany, Munich in Bavaria, opposes to put the brass plates for the killed Jews on their streets. This does not surprises me a lot, since there is also no beach under the Munich pavements. There is only cobble.